In June, the Fox hit double digits with gusto and hasn’t looked back. All of a sudden, it seems, this kid is scholarly, more mature and more worldly than I was aware, Our last two family movie nights have been The Hunger Games and Catching Fire, because he’s read both books. At school his class is finishing up their orientation to their Chrome books, and he’s walked me through a few things he can do with it. “Do you ever get off task and play games on your computer?” He looked at me like I had six heads. “Mom, this laptop is for learning, it’s not for gaming.” Oh. Alrighty then. At parent teach conferences he share his goal of being on the honor roll all year, and I can see no reason as to why that won’t happen. 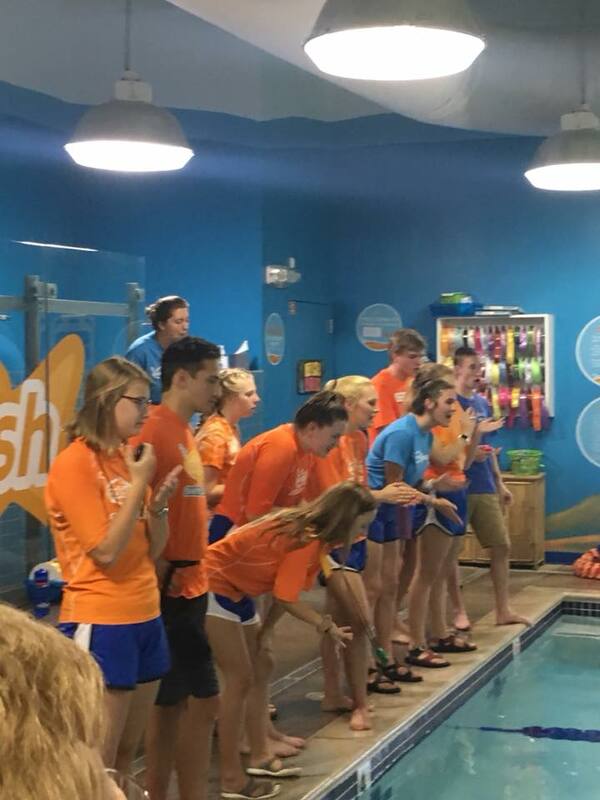 Last week was IM week at Goldfish Swim School, and they swam the strokes in the order of the event. On the way home he dissected each one, and which stroke he likes the most, and which one he likes the least. 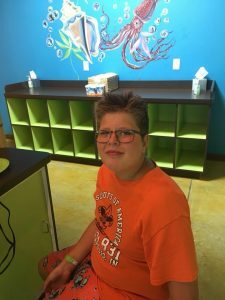 After nearly two years at Goldfish, he’s approaching the “sport for life” phase of the program. He’s now a proficient enough swimmer that he’ll be able to swim laps for enjoyment and exercise for as long as he likes. I can’t even imagine what life will be like when he’s in SIXTH grade (we’re not talking about the fact that M will be in NINTH by then). Disclosure: Thanks to Goldfish Swim School for partnering with us to build my school-age swimmers’ confidence in exchange for my honest review of their programs! We knew going into it August was going to be a whirlwind. We weren’t wrong. 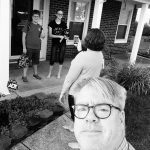 First day of school – eighth grade and fifth grade.. MaM’s thirteenth birthday and her first rated PG-13 movie at the theater. It was the first time I attended the Family of Farmers State Fair day by myself. Trip one to Chicago to celebrate my sil’s fortieth birthday with our first taste of Korean BBQ and first time at family karaoke. Celebrating my grandma’s ONE-HUNDRED-FIFTH birthday, which was special and incredible and a day we’ll always remember. Our second trip north on for the month was our first visit to family in Wisconsin. 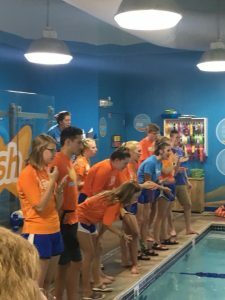 The Fox completed his twentieth month of consecutive swim lessons at Goldfish Swim School, and held his own when kids challenged him to swim at the Y. It was our third month of enjoying the neighborhood pool. It was the first time for me to present at a digital marketing conference. I really enjoyed the experience, even though it was kind of all consuming the week of the conference. And that was August. You understand if I don’t surface again til October, right? How often do you celebrate double digits? First day of school! First day of school! The girl is officially a teen. Chinatown on a Friday night. We spent more time at home in July, and the amount of day camp laundry and Costco snacks we’ve plowed through shows it. Since the Fox has taken an interest in money, I’ve been using it to my advantage. Now he gets $2 for every load of laundry he does and $1 for having his day camp act together on time every morning. July 4th was spent swimming and watching fireworks with friends, and many summer nights were spend walking the dog. I snuck away for a weekend with my oldest friends (I met them in 1987. I’m not kidding when I say oldest), MaM got some one on one time with grandparents, and the Fox and Leilan went on their first backpacking campout together. 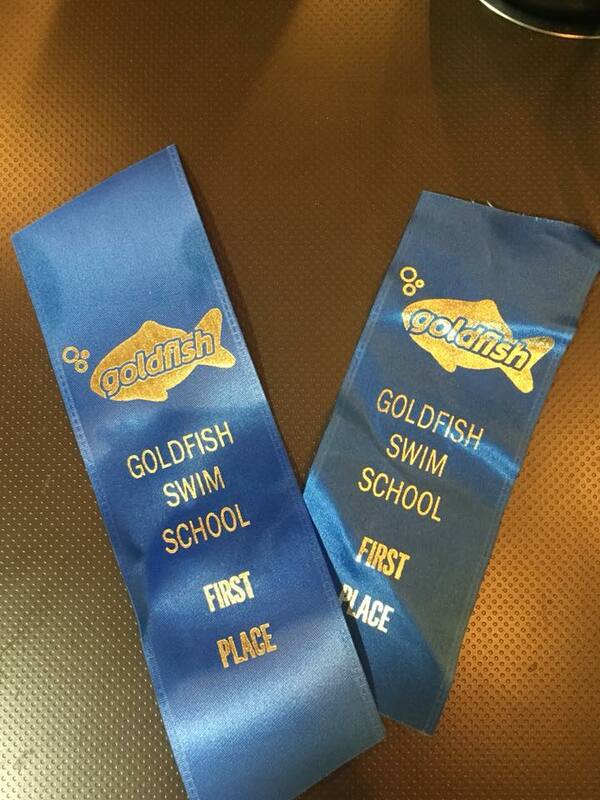 Friday was the event the Fox has been waiting for – his second Swim Force swim meet. 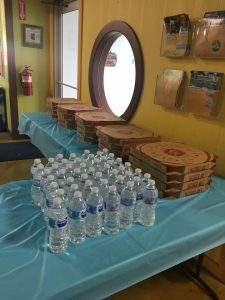 He signed up for two events, and despite having swum 2x that day at day camp (this was swimming week! ), he gave it his all and was rewarded with two blue ribbons. And, more importantly to him, PIZZA. It was fun night to cheer all the kids on and see how much they’ve all progressed. Swim Force continues to be a great way for him to keep developing his technique and build endurance. If your kids have passed out of lessons this summer, consider having them join Swim Force. It’s a great way to insure they’ll retain everything they’ve worked on!